Finally! A Frixion pen that fits the non-elastic pen loop in my Filofax pocket Malden. It is refillable, and as I prefer the .7mm size, the .5mm size that came with it got thrown right out and replaced. 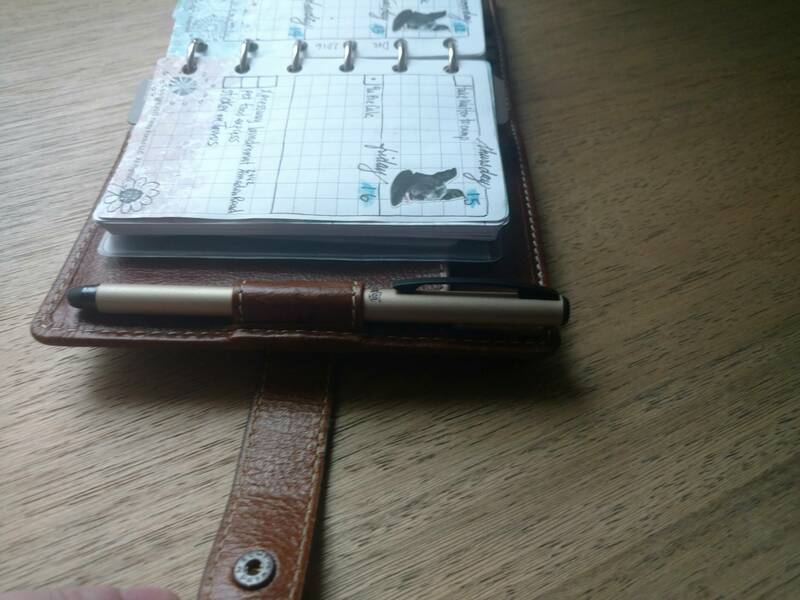 The Frixion Ball Biz has a light metal barrel and I do not miss the rubber grip at all, as that rubber grip prevented the pen from sliding into any pen loops of all of my planners. This is the Frixion Ball Biz in Gold (LFB-150EF-GD) found on Amazon. Yes I got curious one day, I don't like the way the 0.5mm ones are so scratchy but they are slimmer and fitted the pen loop, so I had to see if the 0.7mm would fit and they do! So I had bought some 0.7 mm refills and I swapped all my 0.5mm refills for 0.7mm ones and got rid of the 0.5mm refills! There is a 'Clicker' variety, which has a retractable refill (same refills) the eraser is at the end and the clip on the side operates the retracting mechanism. 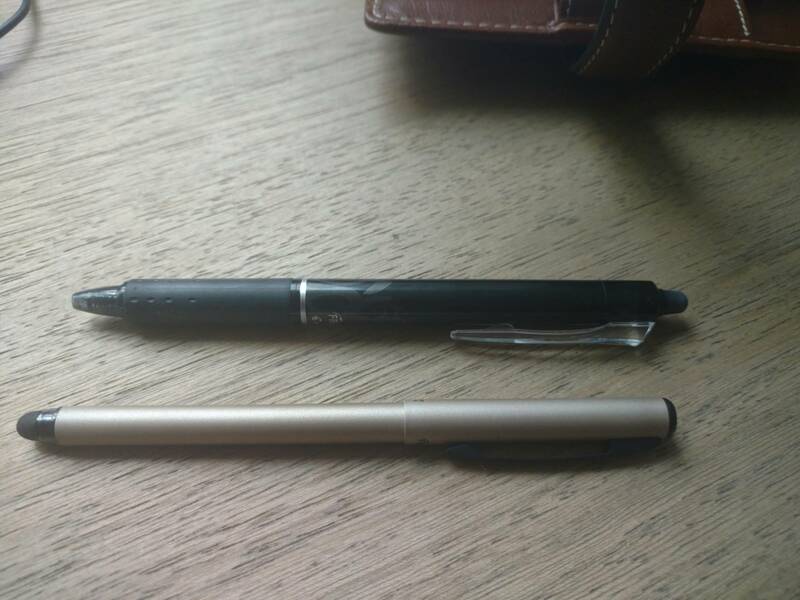 But these are as fat as the 0.7 mm pens and they have a rubber grip so not so good for planners! The Frixion Biz is a very slim one but quite pricey. I came across these on one of the groups on Facebook, then spotted them for sale in my local supermarket, but Amazon has the full range. Don't leave your planner in a hot car though... the writing will disappear!